These Baked Creamy Chile Verde Chicken Taquitos are so easy to make and are beyond delicious! This will quickly become a new family favorite! 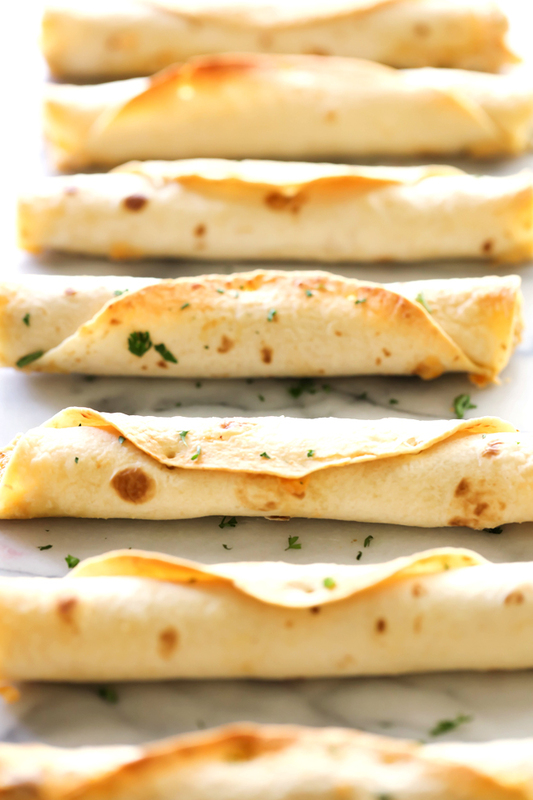 Baked taquitos are always a family favorite at our house. 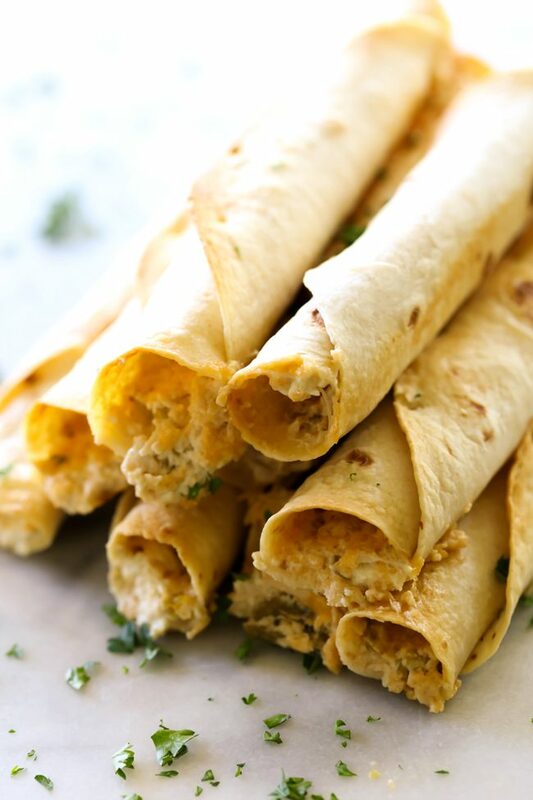 I have tried them in a variety of ways, but our favorite are still these Creamy Chicken Taquitos. I wanted to do some adapting for a new flavor and to make it even faster to whip up and thus these beauties were born. I am not kidding when I say that these Creamy Chile Verde Chicken Taquitos whip up in minutes. They are baked to perfection and not fried, which is a huge bonus in my opinion. My family could not stop gobbling these up! I would call this meal a HUGE success and know it will be at your home as well! In a large mixing bowl combine cream cheese and chili Verde sauce and mix well. Stir in chicken, green chilies and cheese. Place tortillas on a flat working surface and place a large spoonful of the chicken mixture in the center of the tortilla. Roll tight and secure with toothpicks. Place taquito on cookie sheet. Repeat until you have used all the filling. Brush with melted butter and bake at 425 degrees F for 15 to 20 minutes, or until golden brown and crispy.